Wanna wish happy birthday mom? Moms are the symbols of love. God couldn’t be everywhere so he created moms. i could go on and on if i have to explain how special this specific relation is in our life. Making her happy doesn’t require much. She doesn’t expect gifts nor any special treatment. Just one single wish is enough to make her smile a full day. So here i have handpicked a few Birthday wishes for mom to use on her special day. These wishes will sure make your mom feel happy the moment she reads it. That’s what is important isn’t it. Dear mom, even though I am grown, I am not afraid to call you mommy. You will always be mommy to me, and I still look up to you every day. You are a strong, beautiful woman, and I thank you for teaching me how to be the same. Have a happy birthday, mommy! Hey mom, as time goes on, you are still here doing everything you can to make sure we are comfortable. The house is always cleaned, the food is always cooked, and you are still smiling. Even though I’m a teenager, I still do not know how you get all of that done. You are a wonderful woman. I love you; have an awesome birthday. Mommy, you have taught me how to be a behaved girl. I hope that you can teach me to be a behaved woman when I get older. Thank you for everything you teach me. 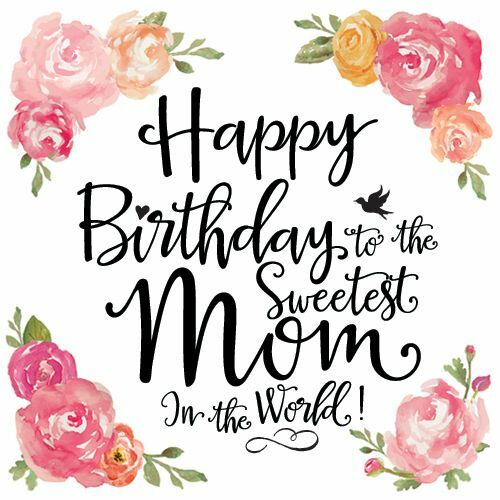 You are a great mom, and I hope you have a wonderful birthday. I love you. Dear mommy, you are so pretty. I hope that when I grow up, I can be as pretty as you. Also, thank you for cleaning the house for me and daddy. I love you, and I hope you have a beautiful birthday; almost as beautiful as you! Hey mom, are you still cleaning the house? You need to calm down and enjoy your birthday. Even though I am away now, that does not mean you have an excuse to be moving and cleaning all day long. You need to enjoy your birthday, too. You have done so much for me all my life, and now it is your turn to be treated special. I love you mom; happy birthday. Dear mom, I want to thank you for everything you do for me. You are always cleaning, cooking and doing other work. Sometimes, I don’t even know how you do it all in one day. Well, I hope you take a break today to enjoy your birthday. Let me and dad do the house work while you rest on your birthday. Happy birthday mom! Dear mommy, you are so pretty. In fact, that is why I hope you have such a wonderful birthday. Every pretty girl deserves a good birthday. I love you! So many wishes So many smiles Too many memories Too few words With one big birthday. Happy Birthday! Wanna wish happy birthday mom? Moms are the symbols of love. God couldn't be everywhere so he created moms.